The Pragati FastTrack Coaching Program is a 60-hr, ICF-Approved Coach Training program ideal for leaders who want to hone their coaching skills. 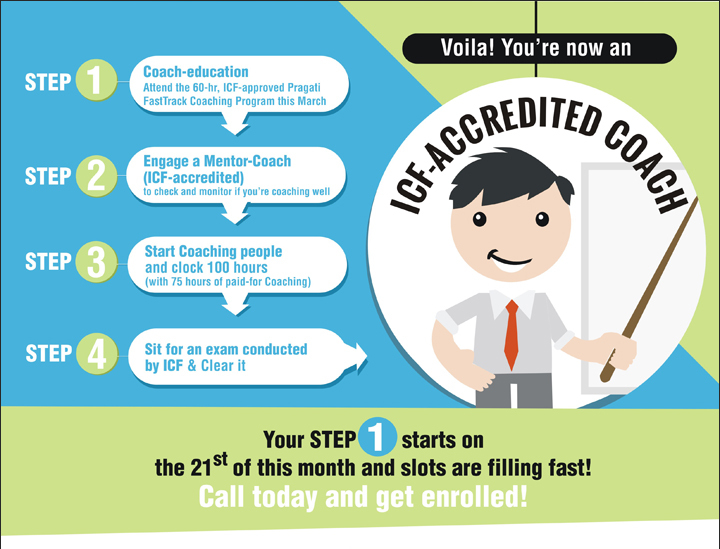 We prepare you towards becoming an accredited coach, keeping an Indian business context! Book your slot today! To become a Wholesome Leader, invoke the power of ‘Shakti’ within you!